These pins bend they don't break. 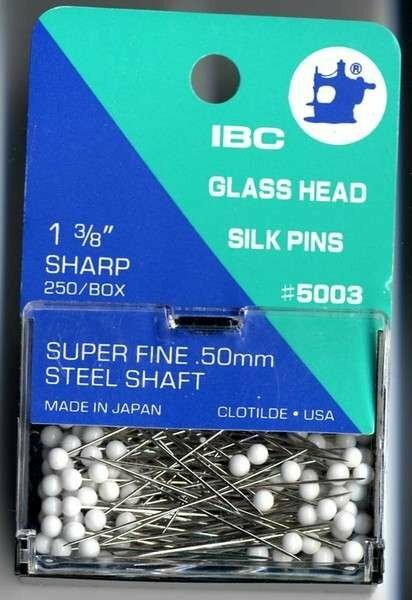 These have the thinnest shaft of any pin. Glass heads won't melt when ironed over. .50 mm steel shaft. The white heads make them easier to see on dark fabrics.